Everyone needs some income – money to pay the bills and live off of, but income comes in many shapes and forms. It might seem obvious, but your total compensation for work is more than just the paycheck you get – depending on your age and where you work, there can be many different forms of compensation that vary greatly between potential employers. Finding the right balance between them all is often a careful point of negotiation when accepting a job offer, but the first step is knowing what they are! Your direct compensation is what you get from your employer for doing your job. These are directly laid out in your employment contract, collective bargaining agreement, or other terms of your job. When people think of their “income”, this is usually the first number that comes to mind – the actual cash that your employer pays you per year. This is the easiest number to consider with income and compensation, because it is easy to compare “apples to apples” between jobs. This is called your “Gross Pay” – Gross means that it has not been adjusted to reflect taxes, withholdings, retirement contributions, or other non-cash perks. Hourly wages are the most basic form of compensation – you are paid a specific amount for every hour that you work. Most people’s first jobs will be hourly, but many high-end professionals and independent contractors also charge by the hour. If you do work as a contractor, it means that you are self-employed, but you contract out your time and energies to work for someone else (either a person or company). Companies like Uber and Deliveroo, who offer a lot of flexibility to their workers, employ most of their workers as “contractors”. Contractors are typically paid a specific amount per hour of work, plus expenses (since a contractor typically has to buy their own work materials and get paid back for them later). Contractors are not typically eligible for any compensation other than this hourly rate. If you work as an employee, that means that you have a specific agreement with your employer and things are a bit different. Employees typically have much less flexible schedules than contractors, but they are often entitled to a lot of other perks and forms of compensation, depending on their employment agreement. Employees who need to work more than their scheduled hours are often paid “overtime” as compensation. A worker who has a salary is not paid per hour, but usually a set amount per week, month, or year. Salaried workers are almost exclusively full time. Even though a salaried worker is not paid per hour, their contract usually states that they need to work at least 30-35 hours per week. If they need to work more than this as part of their normal job duties, they are not paid overtime if they work less than 40 hours. Salaried workers are also much more commonly given other types of compensation in addition to their base salary. In addition to salary and wages, most employers often group insurance as well. “Group Insurance” means it is a package offered to all employees at a company, who get a “group deal” for insurance at a fixed cost. The cost is then shared between the employee and the employer. The employee’s share is taken out of the “Gross Pay”, while the employer’s share is paid directly by your employer. If you work for a large company, you will almost certainly have group health insurance included as part of your employment package. This also usually extends to your family members and children. Since buying health insurance on your own can cost twice as much (or more), health insurance is a major form of compensation to consider. If you live through the expiration, most life insurance policies also have a “maturity payout” which can be added to your retirement savings. Many employers will also offer to help with retirement savings. The most common method employers use is by paying directly into your retirement account, like a 401(k), usually matching your own contribution. This means that for every dollar you save yourself, your employer will also contribute an extra dollar, doubling your savings rate. This form of employer contribution is very popular both with employers and employees, since it gives employees direct control of their retirement accounts. By maximizing your retirement savings early (meaning by saving the maximum eligible amount per year), you can effectively double that amount by having your employer contribute the same amount. Since this amount is invested, you will also be earning returns on your investment (growth of stock, payments of dividends, interest on bonds, and much more), so you get an even bigger bonus. For more information on employer-sponsored retirement savings programs, like the 401(k), check out our article on retirement. Employers might also offer a direct pension scheme, where after retirement they pay you a check each month for the rest of your life. The amount they pay out is typically based on how long you worked with the company, and how much you earned over your lifetime. Even if you leave one company and start working somewhere else, you will still be able to collect a pension from the first one based on how long you worked there. Pensions are less common in recent years, as many employers favor the direct contributions. Indirect compensation is other forms of income that do not necessarily have a known dollar amount. These are other “perks” you can get as part of your job. “Equity” means your company provides a way for its employees to own company stock and benefit from some of the company’s profits. This can be through direct stock (most common with start-ups), stock options (which give you the right to buy company stock at a later date at a fixed price), or even through profit sharing. Forms of equity compensation are most popular with management roles – these exist as a form of motivation to encourage employees to help the company grow, since the better the company does, the more valuable the equity compensation becomes. Vacation time, and how much of it, is a key piece of indirect compensation. Vacation days, sick days, and personal days all vary greatly from company to company, and can be a major source of compensation. A major new form of compensation to reward employees and attract new talent in recent years has been the introduction of flexible working hours and conditions. For example, a company may allow employees to work from 8am – 6pm 4 days a week instead of 9am – 5pm 5 days a week, with regular 3 day weekends. Alternatively, companies may allow employees to work from home occasionally, or start work later and finish later. How much flexibility your job allows can be a major form of compensation offered by your employer. Many other companies offer perk packages specifically targeting employees with families. This includes maternity/paternity time off, bonuses to accommodate child daycare, extra time off for child sick days, and other benefits. Family perks are an important form of compensation companies offer to attract candidates that may be near the peak of their career and potentially starting a family. These sources of income are based primarily on working at a job, but not all of your income will come from the same place. 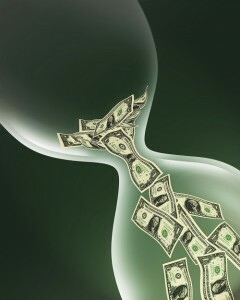 Investment income is earnings you get from dividends, interest, selling stock, and other investment-related activities. Investment income becomes very important after you retire. 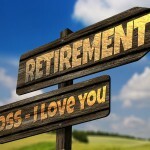 If you have been saving up in a retirement account, especially with employer contributions, investment income can add up to a very large amount by the time you retire. Investment income can also come from selling a house, investing in start-up businesses, or using bonds or certificates of deposit as an investment vehicle. Social security includes retirement benefits and disability income. Everyone who pays into social security is eligible for its benefits – after you are unable to continue to work social security can often be the most reliable form of income (but usually not the largest). 1 of 5) Which of the following is a form of Indirect Compensation? 2 of 5) What is one benefit of having matching contributions to your 401(k) as part of your compensation package? 3 of 5) Which of the following forms of indirect compensation has historically been a part of most start-ups? 4 of 5) Which of the following is an important part of retirement income?